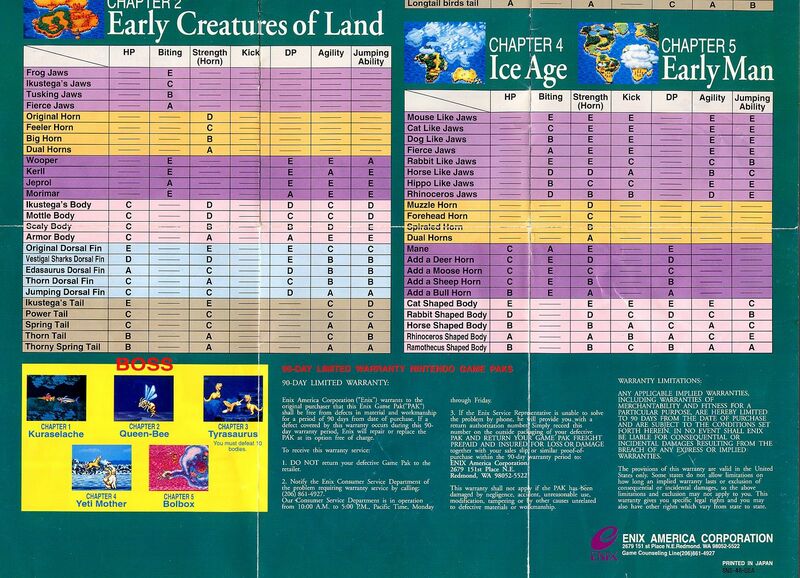 This week in Your Parents Basement, we are hunting animals and literally trying to cause extinctions in order to survive and evolve ourselves! From 1993, we’re playing the cult classic E.V.O. : Search for Eden by Almanic and produced by Enix for the SNES. 46:15 – Emails! A special friend wants to guest on the show (still), and we talk arcade economics again. 1:04:30 – Snifferoo. Next week, we’re focusing on VENGENANCE and SUPERHEROES (in trashy, awful video games). – According to Price Charting, E.V.O. is ridiculously expensive. The loose cart price alone is $207, which is actually down from a high of $252 in February 2013. Box-and-manual combinations are rare, but go for an average of $689 the past four years. There has only been one “new” copy sold in the past four years, and that went for $3,350. 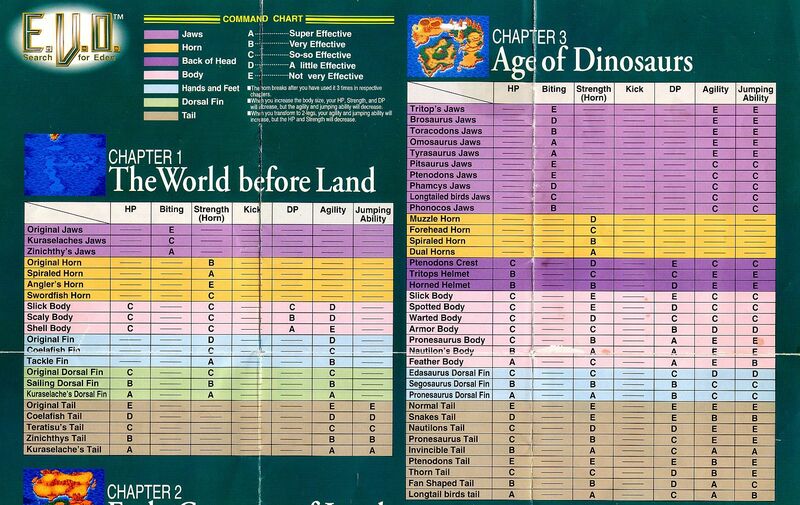 – Huell mentioned some charts on Skype that helped with the game, giving various letter grades for evolution upgrades and showing the bosses. You can find them here and here! – For that awful Bird Man Fort that Steve complained about, GameFAQs has a helpful map on its guides page. They also have one for the U.F.O. in stage three, which is similarly confusing. – Steve mentioned an article on Cracked about professional arcade game players. You can read it here.